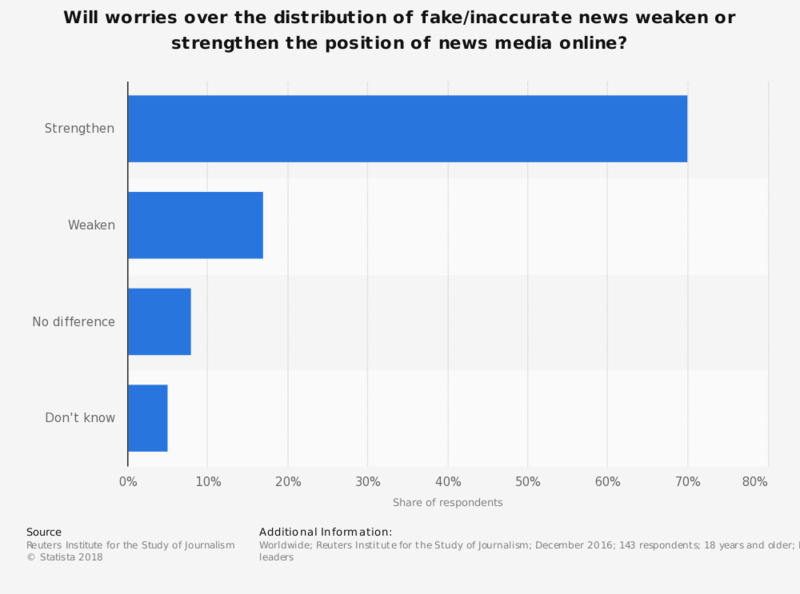 The statistic presents results of a survey regarding whether the distribution of fake and inaccurate news will weaken or strengthen the position of news media online. According to the source, 70 percent of editors, CEOs, and digital leaders at online news media stated that the distribution of fake news would strengthen the position of their company. The source provides the following information about the survey: "Over half of the participants were from organisations with a print background (51%), around a third (34%) represented commercial or public service broadcasters, one in ten came from digital born media (11%) and a further 5% from B2B companies or news agencies. Around 25 countries were represented in the survey including the US, Australia, Korea and Japan but the majority (90%) came from European countries such as the UK, France, Germany, Austria, Italy, Finland and Spain." When you look for news on a mobile/tablet, which of the following statements most applies to you?